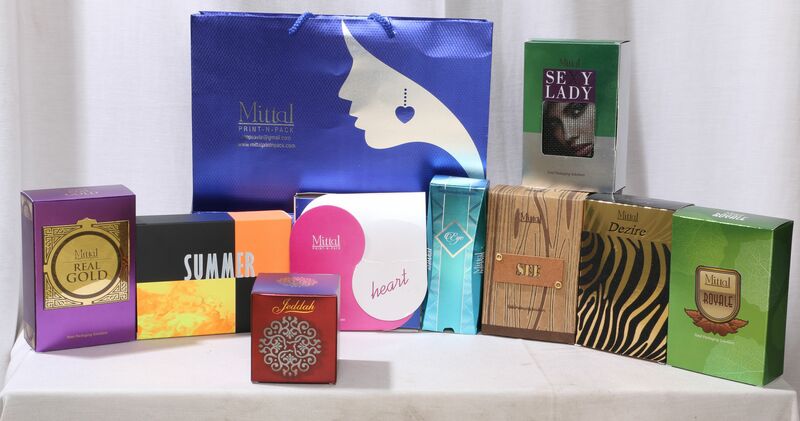 We are manufacturers and exporters of high gloss cosmetic boxes. These boxes are available from 320 gsm to 350 gsm board thickness. Eyeliner boxes , lip gloss boxes and other cosmetics packaging is available in Matt cartons with high gloss gold.